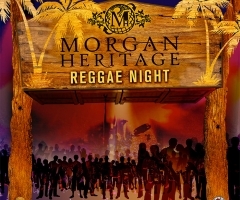 Morgan Heritage is a reggae band formed in 1994 by five children of reggae artist Denroy Morgan, namely Peter "Peetah" Morgan, Una Morgan, Roy "Gramps" Morgan, Nakhamyah "Lukes" Morgan and Memmalatel "Mr. Mojo" Morgan. In two decades, they have had a number of successful reggae albums. But nothing that comes close to their 2015 album titled Strictly Roots. 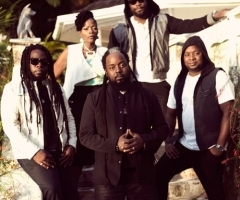 On Monday, February 15th, 2016, the internationally acclaimed band Morgan Heritage walked up to the stage at the Staples Center in Los Angeles, California to receive what is probably the most recognized and prestigious award any musician can receive — the GRAMMY award. Taking home the 2016 award for the Best Reggae Album category for their tenth studio album release Strictly Roots, was no small feat. 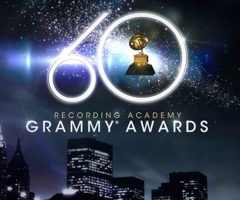 The nominees for the category included heavy hitting artists Rocky Dawuni for his album Branches of the Same Tree, Jah Cure for the album The Cure, Barrington Levy for Acousticalevy, and last but not least Luciano for his 2016 release Zion Awake. The annual presentation ceremony features performances by prominent artists, and the presentation of those awards that have a more popular interest. Most recently the winners of Best Reggae Album include Ziggy Marley (2014 and 2015 winner), Jimmy Cliff (2013 winner), and Stephen Marley (2012 winner). We would like to congratulate the Morgan Heritage family for a well deserved award. Catch the GRAMMY award winners in a town near you on their Keep On Jammin Winter Tour with Blackalicious and special guest Jemere Morgan. 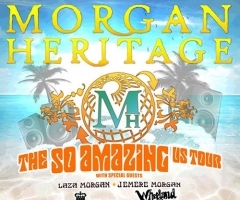 Upcoming shows for "morgan heritage"